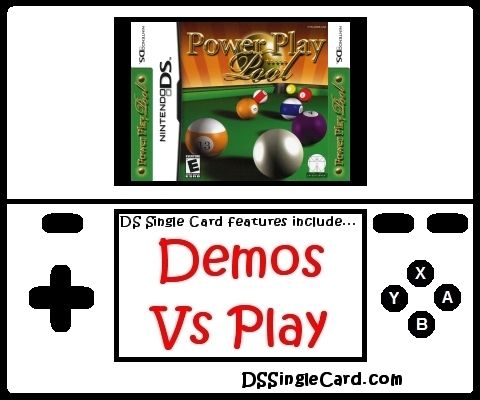 POWER PLAY POOL brings the classic game of pool to the Nintendo DS in full 3D. Represent your nation and become the world's greatest pool player. Play leagues and tournaments wirelessly against a friend or against the computer. Play against 15 other pool sharks from around the world across four varities of pool - UK 8 Ball Pool, US 8 Ball Pool, US 9 Ball Pool and the super tense Killer Pool! Play multiplayer games using Wireless communication in tournaments and leagues. Four Unique Styles: UK 8 Ball Pool, US 8 Ball Pool, US 9 Ball Pool and Killer Pool.